SPECTRUM has been supporting people with Independent Living since 1984. We have an experienced team of people that work on our Direct Payments and Personal Budgets Services, all of whom have personal and relevant experience with all aspects of Direct Payments. Our service is free to any user in Southampton. We are a friendly, approachable organisation, and we understand fully a Disabled Person’s point of view. Our help makes all the difference, try us…. 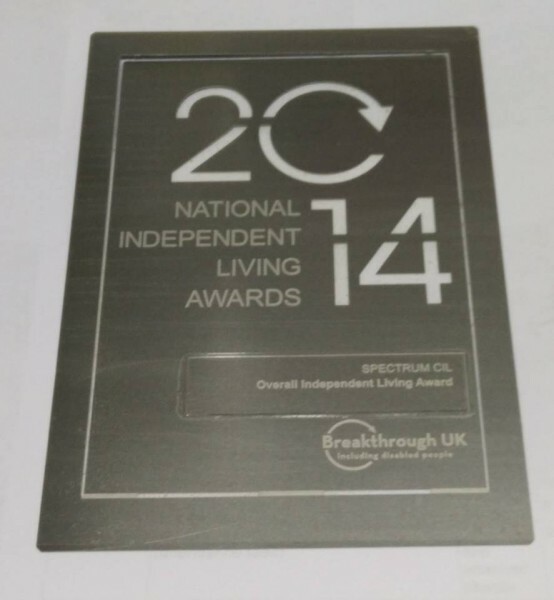 A photo of our National Independent Living Award – SPECTRUM was the overall winner for 2014. Direct Payments is social care that offers you choice and control over your care and support. Some people decide to use Direct Payments by employing their own staff, others buy support from a care agency, or by accessing other services and activities. You can find lots more information about Direct Payments and the support we offer on our dedicated Direct Payments service web site. One of our team will be very happy to assist you. Click to listen highlighted text! Direct Payments Support Service	Home»Services»Direct Payments & Personal Budgets Support»Direct Payments Support Service show easy read SPECTRUM has been supporting people with Independent Living since 1984. We have an experienced team of people that work on our Direct Payments and Personal Budgets Services, all of whom have personal and relevant experience with all aspects of Direct Payments. Our service is free to any user in Southampton. 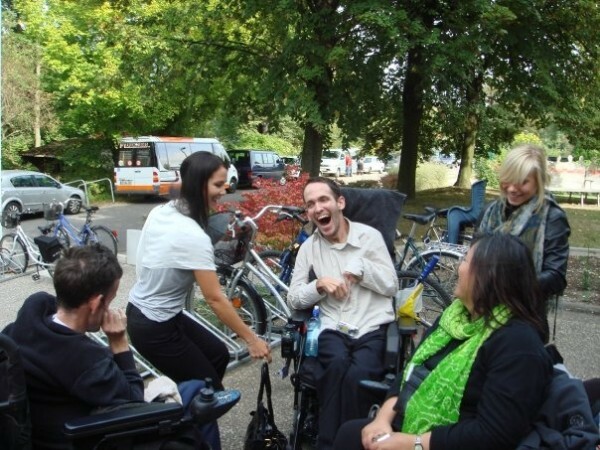 We are a friendly, approachable organisation, and we understand fully a Disabled Person’s point of view. Our help makes all the difference, try us…. A photo of our National Independent Living Award – SPECTRUM was the overall winner for 2014. What we can offer Direct Payments is social care that offers you choice and control over your care and support. Some people decide to use Direct Payments by employing their own staff, others buy support from a care agency, or by accessing other services and activities. Our Direct Payments support service is free to people receiving Direct Payments from Southampton City Council. The help we can offer includes: Help to decide if Direct Payments are right for you Help to find a Carer/Personal Assistant (PA) or agency Assistance with planning what care or support you need and putting your ideas and wishes across to social services Advice on the responsibilities of being an employer Assistance with completing paperwork and assessments Help with engaging with a payroll agency Ongoing support and advice Help with finding local services and community groups You can find lots more information about Direct Payments and the support we offer on our dedicated Direct Payments service web site. What our service users say about us When I applied for Direct Payments SPECTRUM was with me every step of the way… From advice, and home visits, to supporting me when the council social worker visited, they even help you find Personal Assistants online… Because of their direct help I have the care and support to enable me to live my life and maintain my independence… (Direct Payments Service User, Southampton) I feel more in control about who comes into my home and when they come. This is thanks to Direct Payments and the Advice SPECTRUM gave me. (S.S. Service User) The information SPECTRUM provided was extremely understandable and extremely useful. No jargon. (J.B. Service User) Find out how we can help you If you would like further information on Direct Payments, or if you have any questions, please contact: Independent Living Teamhelp@spectrumcil.co.uk0238 020 2931 Skype: SPECTRUMhelp Whatsapp: 07761332616 One of our team will be very happy to assist you.